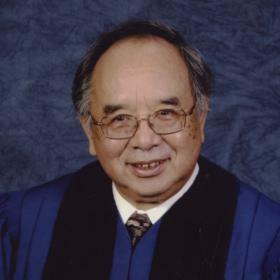 The Reverend Clarence Chuan Kang Liang, age 82, of Holland went home to be with his Lord and Savior on Tuesday, November 7, 2017, following a yearlong battle with cancer. Clarence was the first born to the Reverend Harry Teh Huei Liang and Ginger Hsin Chi Chao Liang in Nong An, Jilin, China on February 27, 1935. He and his family survived the Japanese occupation of Manchuria and escaped from China ahead of Mao Tse Tung’s forces in 1947. 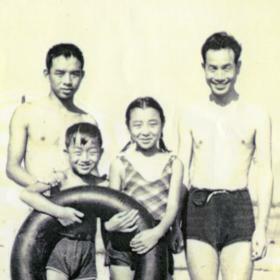 After fleeing to Taiwan where his father taught in the Seminary in Tainan, they immigrated to Japan. Clarence came to the United States to attend college in 1957. He became a second generation Presbyterian pastor following graduation from King College in Bristol, Tennessee in 1962 and Louisville Presbyterian Seminary in 1966. He served the Whitewater Presbyterian Church and the Patton Presbyterian Church in Missouri; the Ashmore Presbyterian Church in Illinois; the Edwardsburg Presbyterian in Michigan; and the Maple Plain Presbyterian Church in Minnesota. 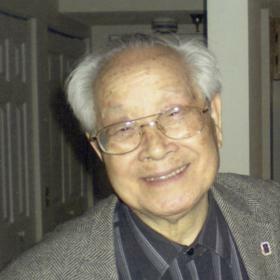 In 1988 he transferred to the Reformed Church in America and served the Chinese Community Church in Sacramento, California; the Fairview Reformed Church in Illinois; and the Forest Grove Reformed Church in Michigan. After 42 years in the ministry he retired in 2008. He also served Christ’s family through short term mission work with the Reformed Church in St. Thomas, US Virgin Islands, Katrina relief work in Gulf Port, Mississippi, and through cooking hundreds of meals for the churches he served.  Clarence was a people person and his passion was to serve God’s people in rural America. He also loved to be with his family, especially his four grandchildren and his six children and their spouses. He enjoyed traveling around the country, taking cruises, cooking, reading, and attending Hope College athletic events – especially the Men’s and Women’s Basketball games. 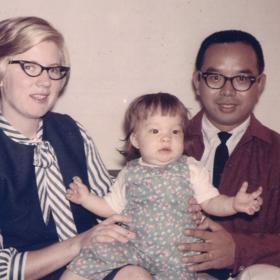 Clarence was preceded in death by his first wife, Patsy Hitchcock Liang in 1976, her parents, Arthur and Marjorie Hitchcock, his parents, Reverend Harry and Ginger Liang, and a nephew, Bruce Hitchcock. 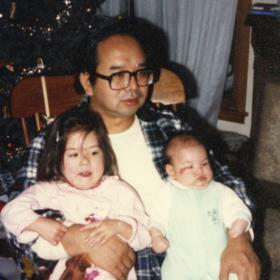 He is survived by his wife of 39 years, Susan Northuis Liang; his six children and their spouses Deborah (Matthew) Liang-Tillotson of St. Paul, Minnesota, Jonathan (Jennifer) Liang of St. Paul, Minnesota, Laura (Robert) Liang-Pagliaro of Dunellen, New Jersey, Marta (Kenneth) Gibson of Gilbert, Arizona, Emily (Robert) Ellis-Liang of Greensboro, North Carolina, and Andrew (Justine) Liang of Holland, Michigan; four grandchildren Sophia Liang, Samuel Liang, Hannah Gibson, and Olivia Ellis-Liang; one foster grandson, Isaac Wang; a brother Joe (Susan) Liang, a sister Sarah (John) Yang; parents-in-law Donald and Eunice Northuis; and in-laws Joe (Wanda) Hitchcock, Ann (Steven) Knoll, Richard (Tresa) Northuis, Mark (Pamela) Northuis, Jane (David) Wright, Michael (Jill) Northuis and several nieces, nephews, and grand-nieces and nephews. The family would like to extend a thank-you to the staff of Evergreen Day Center, the staff of Hospice of Holland, the staff of Freedom Inn, and the staff of Appledorn Living Center for their loving support and care of Clarence over this last year. The Visitation will be held at Dykstra Funeral Home – Mulder Chapel, 188 West 32nd Street, Holland on Friday, November 10, 2017 in the evening from 5:00 – 8:00 pm. A Celebration of Life Service will be held at 11:00 am on Saturday, November 11, 2017 at The First Reformed Church of Holland, 610 State Street, Holland Michigan. The Reverend John Zwyghuizen will be officiating. Internment will be at the Pilgrim Home Cemetery in Holland, Michigan. In lieu of flowers, memorial contributions may be made to First Reformed Church, Holland, Michigan or Hospice of Holland.